Twitter is a great community engagement platform from a customer support and marketing perspective. But many small businesses are still struggling with ways to find new sales leads using the website. 1. Search for your keywords. Using Twitter’s advanced search form you can search for keywords related to your company, industry or target market and set parameters on those searches. For example you can search for tweets that only include questions or tweets being sent near a specific location. When looking through the search results identify people who are asking questions about your company, competitors, or industry in general. Follow these leads and engage them in conversation. 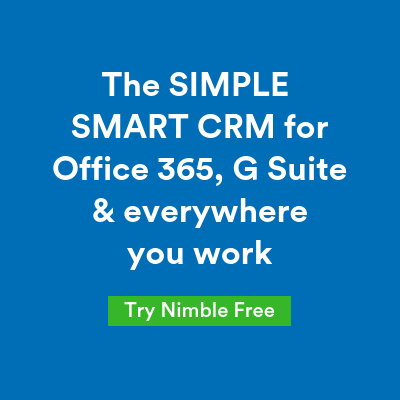 Add them to your social CRM and set yourself tasks to follow up and continue building the relationship. 2. Leverage the ‘Similar To’ lists. When viewing a profile on Twitter.com you’ll see a Similar To list in the left hand column. If you click the Similar To header it will expand to show a full and detailed list. A great way to find new leads is to go to the Twitter profiles of your best customers or most qualified prospects and view the people Similar To them. Click image to increase size and clarity of Jon Ferrera’s Similar To list. Read the Twitter bios of the people on each Similar To list. Research those people on LinkedIn, Google+ and Facebook to determine if they would make a good lead. If so, add them to your social CRM to begin nurturing. 3. Mine through Influencer Lists. Twitter allows individuals to create Lists of people tweeting stuff about a particular subject. Many people create lists specific to the industry they work in. Moreover, it’s very popular to create lists of people by profession and by ‘rank’ in that profession. For example there are a variety of Top Sales Professionals and Top SEO Experts lists. Example of a Twitter list full of Sales 2.0 Leaders. Find a list related to your target market and search through it for new leads. A great way to find solid lists is to look for ones created by influential people in your industry. 4. Join in industry Twitter chats. Twitter chats are pre-scheduled dialogues that take place on Twitter using a specific hashtag at a specific date and time. For example a chat for social media professionals takes place every Wednesday at 1pm. You can join it by following and using the hashtag #smchat. Find out if the industry you are targeting has a scheduled Twitter chat and be sure to join in the conversation. 5. Follow tweets to blog comments. Most content creators share their latest posts on Twitter. A great way to find new leads is to follow the links being shared on Twitter back to the original source of content. Once there scroll down to the comments and see if any of the commentors would make good leads. If so, leave your own insightful comment to start a conversation. 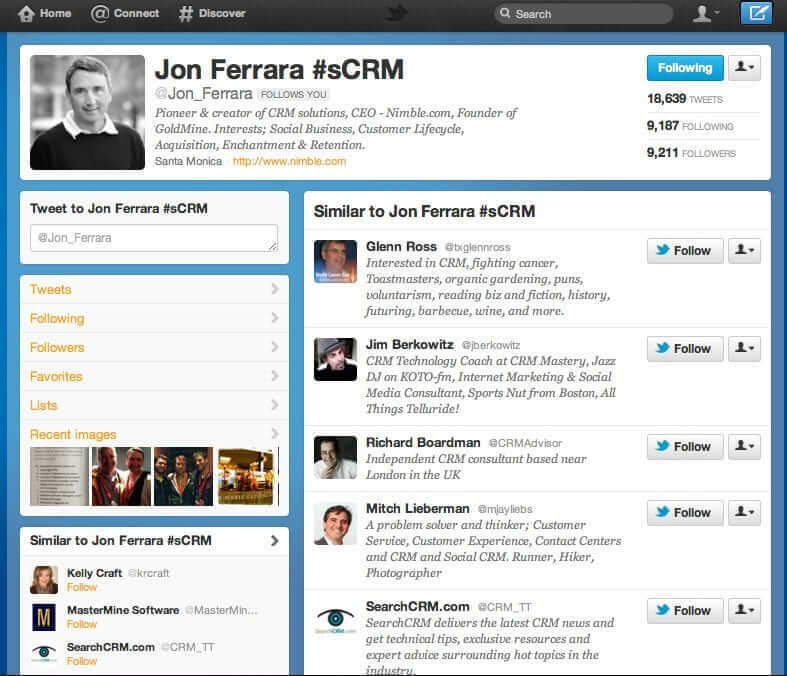 Additonally, add the person to your social CRM and begin following their social media updates. Finally, be sure to schedule yourself a task to follow up on the conversation in the comments. These five tips are free ways to generate new leads using Twitter. You can also purchase small business Twitter ads. What ways are you finding leads using Twitter? Leave a comment below with your #1 tip!